Market-leading battery life and fantastic performance make this Sony Vaio Z21ZN/X the perfect portable – and you can win one in a competition with our sister magazine WhatLaptop. The 13.1-inch LED-backlit model is the smallest laptop available to feature an integrated Blu-ray drive as well as the first to combine it with a state-of-the-art Solid State Drive (SSD), offering extra durability and better battery life. Weighing in at 1.5kg, this tiny machine is among the lightest fully-featured laptops on the market, the design a blend of brushed aluminium, carbon fibre and magnesium alloy. As well as a high-end 2.53GHz Intel Core 2 Duo processor and ultra-fast 4GB of DDR3 memory there's also an integrated 3G/HSDPA module for mobile broadband use as well as a fingerprint reader. The integrated Nvidia GeForce 9300M GS graphics means you'll also be able to edit video and play games on the move, too. WhatLaptop praised it for having "the highest resolution available on an ultraportable", bringing high-definition movies to life. 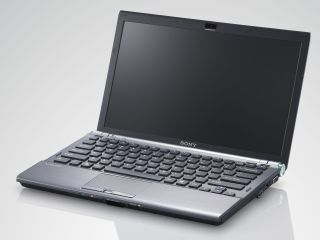 Read the WhatLaptop review and enter the competition to win the Sony Vaio Z21ZN/X now.